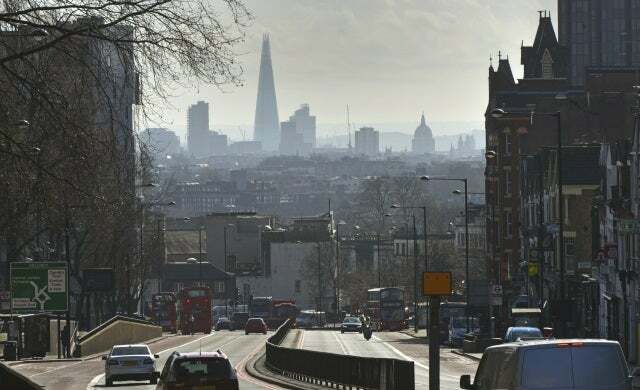 Why should you start a business in North London? Although North London has the smallest proportion of small and medium-sized businesses in the capital, approximately 92.8% of enterprises in the area are micro-businesses (0-9 employees) so early-stage entrepreneurs are in good company, with this figure expected to rise as work takes place on the Meridian Water redevelopment. Affecting the Edmonton area of Enfield, £1.5bn is being invested to turn former industrial land into a major business and residential space which will create over 5,000 new homes and 3,000 new jobs. Part of the mayor’s London Plan, it’s expected the site will offer businesses an “environment designed to meet their needs”. Although the work isn’t expected to be completed by 2026, regeneration of the area is a good sign and a promising indicator for start-ups looking for an up-and-coming location to start a business. Alongside redevelopment in the borough, Enfield is one of North London’s emerging business centres with the work of Enterprise Enfield, the attractive mix of suburban areas and greener landscapes and the number of multi-national brands which have headquarters in the borough such as Coca-Cola, Warburtons and IKEA. Invest in Enfield even claims the area is starting to become a “major engine room of the capital” and it has recently attracted fast-growing start-ups such as The Giving Card and Ruby blu Gifts. Haringey also has a solid business community which is beginning to evolve and local organisations such as the Small Business Network are helping to support new and established start-ups – Haringey is also on the mayor’s London Plan agenda with major redevelopments set for Haringey Heartlands and Tottenham Hale over the next five years. For business travel, North London is served by a range of London overground, underground and National Rail stations with Enfield strategically placed in the London-Stansted growth corridor. Barnet is linked to the Northern Line, Enfield is served by the Piccadilly Line and Haringey has 16 stations in the borough. Suburban national rail services that operate in parts of the sub-region include Abellio Greater Anglia and First Capital Connect. North London also has good road links with Barnet connected to the A5 (Edgware road) and main roads including the North Circular, M25, the A10 and the old Hertford Road (A1010) running through Enfield. When it comes to office space in North London, if you’re a tech business looking for trendy workspaces then Busworks should be your first port of call as it has a choice of offices and studios in three converted buildings that were previously used for bus workers and bus factories. These include converted Victorian house The Old House, former bus factory Omnibus which is home to “lots of young, dynamic businesses” and United; a more “upmarket” section which includes a co-working ‘Mezzanine’. Haringey also has a range of different spaces to suit a variety of needs for a range of businesses including artist workspace The Chocolate Factory which incorporates networking sessions for the creative sector, co-working space 639 Centre in Tottenham and free-to-use office space at The Business Lounge. Enfield Business Centre’s start-up hub Let’s Go houses hot desks, meeting and conference rooms and networking spaces with user registration free until May 6. The RSA Island Centre, located at Enfield Lock, also has a range of lease and rental offices and Enfield Wenta Business Centre and Arnos Grove Station have flexible and unfurnished office spaces to let on a monthly basis. In Waltham Forest, new businesses can access “very affordable” workspace at the BusinessLaunchPad at Waltham College which hosts start-ups for 12 month periods. North London is the most affordable area for hiring staff with average weekly salaries the lowest in London at £579. However, as with East London, salaries are bound to be lower as only 46% have degrees or equivalent NVQ’s which is almost 4% lower than the London average (49.9%). For apprenticeships and traineeships, the College of Haringey, Enfield and North East London (CONEL) works in partnership with a cross-sector of businesses to provide them with suitable learners who will be able to gain from working within a company. It is one of the largest providers of trainees to the health and care sector which is good news for start-up entrepreneurs in this industry but it also works closely with employers in the creative industry, construction, accountancy, hair and beauty, and horticulture. Earlier this year, the Haringey association shared news of the Tottenham Business Hub which offers up to 12 weeks of business support to those aged 18 to 30 years-old. While not strictly an accelerator the scheme, the Hub offers workspace, access to workshops and more. North London Community Finance lends up to £10,000 for business start-ups and £25,000 for businesses able to produce certified accounts for one year’s trading. It operates via Credit Union and an ethical business loan fund, providing savings and loan services for individuals in Enfield and businesses throughout North London. Enterprise Enfield, an enterprise agency established by the Department for Business, Innovation and Skills (DBIS) runs a series of events and seminars and also publicises events taking place in the area – events listed on its calendar include a seminar on how best to capitalise on social media and WeNetwork meetings to help promote North London’s businesses which take place at the Let’s Go hub. In Waltham Forest, the Waltham Forest Business Board holds bi-weekly business events and exporting events at Barnet & Southgate College. In addition, North London’s Small Business Network organises several networking events and business talks to support start-ups and small businesses looking to grow. The library service has teamed up with Enterprise Enfield to offer new businesses a six month programme to “turn an idea into a reality” which includes one-day business workshops and mini two-hour workshops, access to online library resources and support from a business adviser via phone and email to develop a business plan. Enterprise Enfield also offers support to local small and medium-sized business with a range of tools and advisers accessible via its website and it runs a business network specifically for women – the RSA Trust Inspiring Women Programme – which is a free six month scheme for budding female entrepreneurs in the Enfield, Waltham Forest and Haringey areas. Whether you’re a new start-up, or wish to build up an established business, the Business Information Service at Walthamstow Library can also offer support. In Waltham Forest, start-ups can become part of the wider business community in the area by becoming a member of the Waltham Forest Business Board> which meets four times a year to help address any issues or concerns businesses have. Average house prices are mid-range; £477,538 – Barnet and Haringey are more expensive areas while Enfield is the cheapest area to live in North London at £386,047. Council tax prices for North London are one of the highest in the capital with tax ranging from £1,359 to £1,474 for Band D properties. Haringey is home to some of the most expensive, wealthy areas such as Muswell Hill; named as one of the most desirable places to live by the Sunday Times, and Crouch End. The number of crimes committed in North London are low for the capital (90,473 total crimes Jan-Dec 2015) yet this is to be expected given North London has the smallest population; Tottenham in Haringey for instance is regarded as a hotspot for gang and gun crime. Recent Metropolitan Police figures show that Waltham Forest has the lowest crime levels and residential burglaries, while violence against a person and motor vehicle crimes are among the most common offences in North London. For business owners looking for a mix of urban areas and green space, North London offers a good balance – much of Barnet is within the Metropolitan Green Belt with a number of parks and open spaces while in Haringey, green space makes up more than 25% of its total area which includes, Highgate Wood and Alexandra Park. It’s not just parks though; North London has a smorgasbord of music venues, shopping centres and markets and one of the UK’s biggest football stadiums – White Hart Lane, home to Premier League side Tottenham Hotspur. Haringey boasts well-known and historic music venues Alexandra Palace (known to many as ‘Ally Pally’) and Finsbury Park and also has several performing arts venues such as Jacksons Lane and the £14m Bernie Grant arts centre. For retail businesses, Enfield has shopping centres in several of its districts including Southgate, Palmers Green, Edmonton and Cockfosters, and in Barnet there is the Brent Cross shopping centre. Local markets are also hard to miss in North London with Walthamstow Market in Waltham Forest said to be the largest street market in Europe while nearby Leytonstone runs the long-established New Spitalfields Market which specialises in exotic fruits and vegetables. Creative entrepreneurs should also mark Crouch End Festival, a 10-day event in June which features over 200 local performers and artists, in their calendar. Highly recommended pubs, bars and restaurants in the area include Barnet’s Sebright Arms pub and basement Thai restaurant the Heron, in Haringey; Muswell Hill offers a wide range of award-winning restaurants including Sushi 101, retro restaurant Toff’s and London’s the South East’s Best Family Pub for 2014 The Clissold Arms. In Waltham Forest, veggie and vegan entrepreneurs should head to Hornbeam cafe or for those looking for something more alternative visit underground dining supper club Basement Galley – a restaurant based in a disused underground tube carriage.